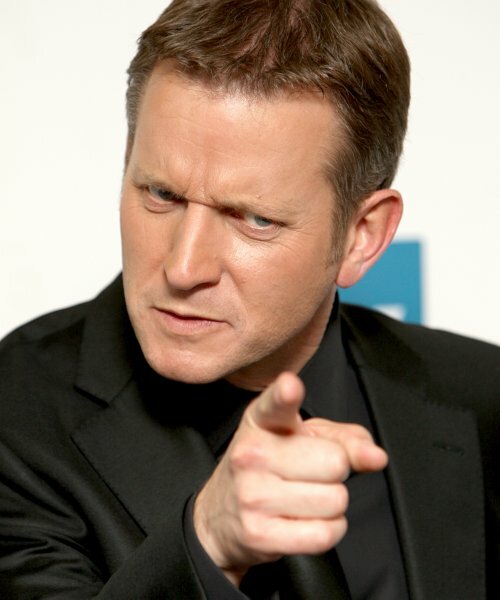 Ahead of their final game of the League Two season, Southend’s players were given a pre-match gee-up by none other than Jeremy Kyle, i.e, the megalomaniac host/ringleader of the scum circus that is The Jeremy Kyle Show. Can we just point out now that Southend’s manager is Phil Brown. Suddenly it all makes sense, no? The pair apparently fell in love on Kyle’s TalkSPORT radio show a few years ago, so Brown had his buddy come in and deliver a motivational speech in The Shrimpers’ dressing room before kick-off in order to ensure his players ended their season on a high with a win over Morecambe after going their nine previous games at Roots Hall without one. Indeed, several Southend players tweeted to state their awe at meeting the King of the Rat Chavs, with Matthew Lund and Ryan Cresswell both telling the world that they were “star struck” when Kyle walked in. Anyway, down to brass tacks: The final score? 1-0…to Morecambe, thus condemning Southend to a tenth home game on the trot without tasting the sweet, sweet ecstasy of victory. It’s hard to say who is the bigger chump, Brown or Kyle. Phil Brown truly is the David Brent of football managers. I’m trying to think of an American equivalent of this…and quite frankly I can’t come up with one. There’s a lot of young (and old) douchebags on American TV, but nothing sticks their smarmy head out of the abyss at the moment.